offers luxurious accommodations on 10 acres of land flanking Sunny Isles Beach. The pool area features waterfalls, landscaped grounds, and a Jacuzzi. Air-conditioned cabanas are available by the beach and pool. Guests can also enjoy water sports, Aquano Spa's full menu of treatments, the fitness center, or salon services. The Just Us Kids' Club keeps younger travelers entertained with daytime and evening activities. There are 390 rooms at the Trump International hotel. Every room features air-conditioning, a balcony, bathrobes, CD player/radio, coffeemaker, dataport, hairdryer, individual climate control, in-room safe, iron, ironing board, microwave, minibar, mini-refrigerator, pillow-top mattresses, telephones, and Web TV. 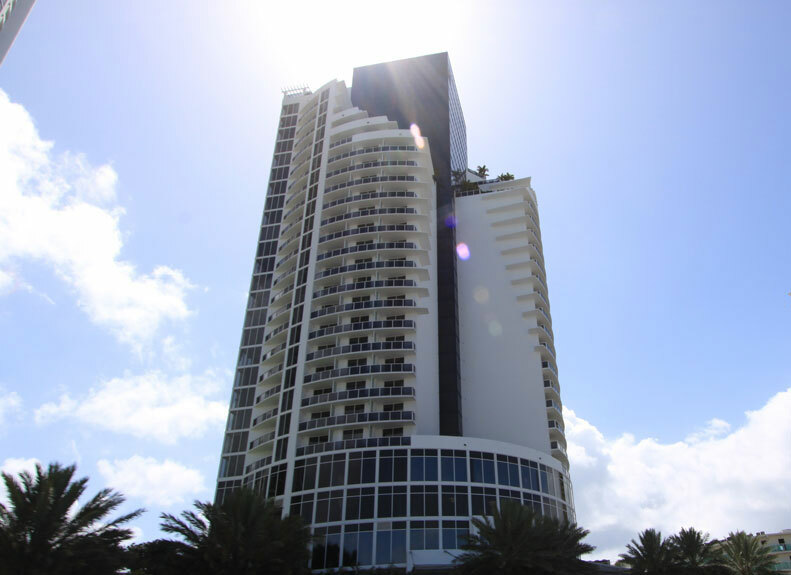 If you're looking for a luxury Sunny Isles Beach condo perhaps you should visit Trump Palace, Trump Royale and Trump Towers as these condos offer top of the line living on the ocean.